One U.S. soldier was killed as American Special Forces conducted a raid in support of with Kurdish Iraqi forces to free dozens of hostages held in Northern Iraq, U.S. defense officials said Friday. 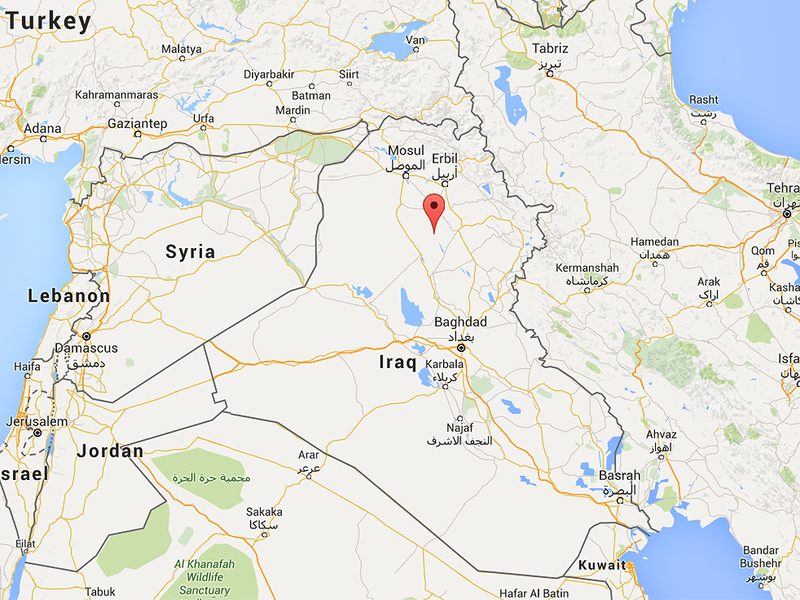 About 70 hostages were rescued in the operation, including more than 20 members of the Iraqi Security Forces. The operation was a raid on a prison run by militants from the Islamic State of Iraq and Syria (ISIS) near the city of Hawija, in the largely Kurdish province of Kirkuk. American Special Forces took part in support of Kurdish Peshmerga troops, not Iraqi national army soldiers. Pentagon spokesman Peter Cook said Thursday that the rescue mission was carried out "after receiving information that the hostages faced imminent mass execution" by ISIS militants. He said the U.S. "provided helicopter lift and accompanied Iraqi Peshmerga forces to the compound," but did not characterize it as a joint raid. The American soldier died of a gunshot wound sustained during a firefight. He was airlifted to Irbil. There were no other American injuries. Cook said the rescue operation was a "unique circumstance" and not a change in U.S. policy in the fight against ISIS, which currently precludes the deployment of ground troops. "It was authorized consistent with our counter-ISIL effort to train, advise, and assist Iraqi forces," Cook said, using another acronym for ISIS. Cook said five ISIS militants were captured in the raid, "a number" of others were killed, and "important intelligence" about the terror group was obtained in the process. "Lives were saved as a result of this operation," Cook said. In February of this year, ISIS posted videos online showing militants parading captured Kurdish Peshmerga fighters in cages through the streets of Hawija. The Peshmerga have been one of the most reliable and successful forces on the ground fighting against ISIS in both northern Iraq and Syria, and the U.S. works closely with them. The raid early Thursday morning took place east of Hawija, but U.S. officials had not confirmed the exact location. Locals said as many as four helicopters took part in the operation. The American soldier's death marks the first U.S. combat fatality in Iraq since President Obama launched operations against ISIS earlier this year. "We commend and congratulate the brave individuals who participated in this successful operation that saved many lives, and we deeply mourn the loss of one of our own who died while supporting his Iraqi comrades engaged in a tough fight," Gen. Lloyd J. Austin III, U.S. Central Command commander said.